Walk in the steps of heroes at Patriots Point Naval & Maritime Museum, home of the USS YORKTOWN, and South Carolinas most unique attraction. With fresh exhibits, educational programming, and other one-of-a-kind events, Patriots Point is the only Charleston-area historic attraction that offers exciting new experiences all year long. It appeals to visitors of all ages and gives everyone a hands-on glimpse of maritime and military life aboard a true piece of American history. 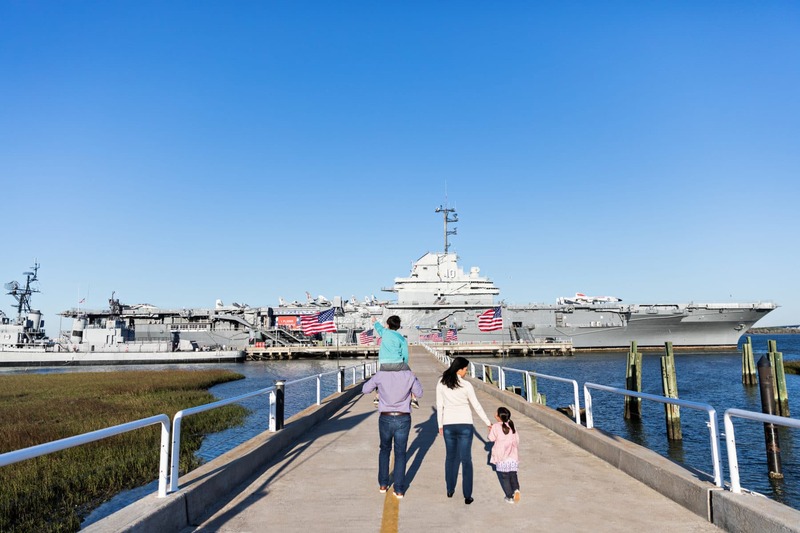 Whether you are a visitor or a local, a military veteran or a family on vacation, at Patriots Point there is always a NEW way to walk in the steps of heroes.